Walking home from dinner in Istanbul, I noticed the Eurovision Song Contest Finals being broadcast on a cafe TV and zipped back to the hotel to watch. From what I can tell, Eurovision is a American Idol/Pop Idol combined with good-natured European nationalism. I have some vague recollection of years past when the musical acts were either terrible, super avant garde or kitschy traditional music. Always one to watch European countries compete, I followed eagerly, only to realize that I really don’t like European pop music! The winner was an already established Swedish pop-star, Loreen. Her song was decent but unremarkable club music in my opinion. The performance consisted of poor stage lighting, a wind machine and a little capoeira stuff at the end. (Thank you back up dancer!) I was really surprised to see this won because it seem so average among a field of unremarkable dance song. Russia decided to go cute with their club music and submitted old ladies dressed in traditional costumes. At first, with their stage prop oven, I thought this was going to end badly in a “No… I haven’t seen Hansel and Gretel”-sort of way. But the ladies were sweet and seemed to be enjoying themselves even if the English chorus of their song was “Party for everybody! Dance! Come on and dance! Come on and dance! Come on and… Boom! Boom!” Yes, poetry. Whether the voting was based on sentimentality or irony, the gimmick worked and the Russian group won second place. 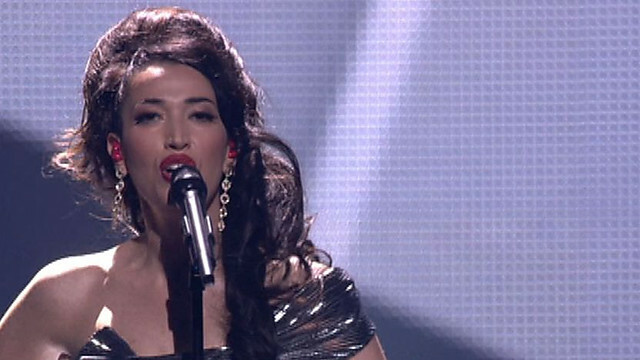 Rounding out the interesting competition, Italy was represented by Nina Zilli who did her best Amy Winehouse impression. Ukraine’s Gaitana has a huge voice but delivered a boring and very formulaic dance song. The UK’s Engelbert Humperdinck looked like Johnny Cash and sang what could have been a lost Disney song (but the sad, reflective kind where the characters are discouraged, not the happy, spontaneous dance kind). Of course with a field of 26 countries, there were acts I liked. Macedonia’s Kaliopi has a rich, powerful alto voice and with 9 albums, is already known as a Balkan pop-diva. For “Crno I Belo”, she is joined by an awesome band for a great rock-opera like sound. I love the power chorus and caught myself humming along after a second viewing of the performance. I also loved Maldova’s Pasha Parfeny. His song “Lăutar” is playful, upbeat and makes you want to bop back and forth without it being a contrived pop tune. To me it sounds decidedly French and fun (like the Electro swing group Caravan Palace). So there you have it, my favorite performances were from countries the size of Vermont and Maryland respectively!